The Empty Stadium: Who Cares?!!? The weekly "Who Cares?!!?" segment is back again, to chronicle the least-cared-about stories in sports. So here we go. As always, please vote at the bottom to tell me which story you could care least about this week. 1) The Portsmouth Football Club, located on the southern coast of England, is on the verge of folding after more than 112 years of existence. Financial problems now plague the club, who are currently mired in bankruptcy court as the future of the team hangs in the balance. The team's most famous chant mimicks the Westminster bells. 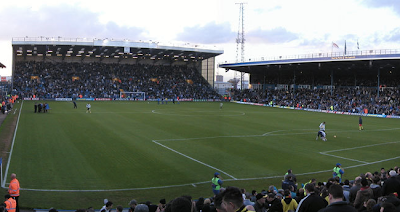 In 2003, Portsmouth was promoted to the English Premier League, as per their championship in England's second league. For its first few seasons, Portsmouth just managed to avoid relegation, finishing 13th, 16th, and 17th (out of 20 teams) in the 2004, 2005, and 2006 seasons. In 2006, the club was bought by French businessman Alexandre Gaydamak, and the increase in funds allowed the team to buy an entirely new roster for the 2007 season. 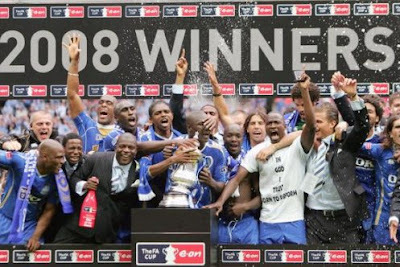 Just one season later, and thanks to the influx of new players, the team won the FA Cup - England's oldest football trophy. Unfortunately, however, the team's ambitious owner could not keep up financially, and a host of new economic problems have enveloped the club. In the past twelve months, ownership has shifted three times and players and staff of Portsmouth have gotten paid late numerous times. Not unsurprisingly, the team is currently in last place in the Premier League. But, more importantly, with mounting debts, the team may be forced to close, bringing its 112 year history to an untimely end. A hearing has been set for March 1st to decide their fate. 2) Simply put, the least-publicized sporting competition in the world began today, and no, I'm not talking about the Winter Olympics. 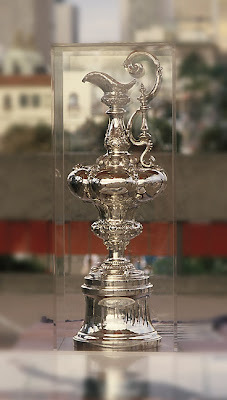 It's the America's Cup, a sailing competition that is home to the oldest active trophy in the world. The trophy was first contested in 1851. 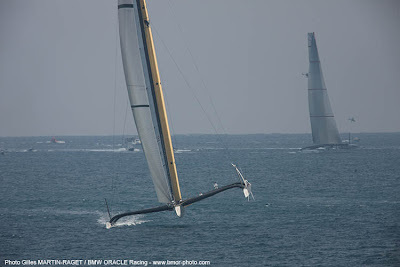 The competition consists of a best-of-three match race between two yachts and, importantly, is not an annual event. Since 1992, the trophy has only entered into competition six times. The current holder of the America's Cup is the Swiss Alinghi team, spearheaded by Swiss-Italian entrepreneur Ernesto Bertarelli, the 52nd richest person in the world. They are being challenged by the San Francisco-based BMW Oracle boat, owned by Larry Ellison, the co-founder and CEO of Oracle Corporation and the 4th richest person in the world. Needless to say, these boats they're racing are pretty impressive. Not your grandpa's boat, this is BMW Oracle's "USA." This is perfectly normal, apparently. In the first race today in Valencia, Spain, the BMW Oracle boat literally cruised to victory, with a 2-mile margin of victory. 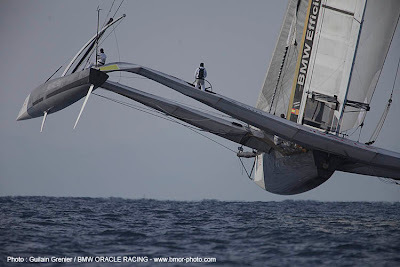 If BMW Oracle can win on Sunday, the America's Cup would return to the States for the first time since 1995. 3) The Washington Capitals' 14-game winning streak ended on Wednesday, with the team just 3 wins shy of the NHL-record 17 straight wins by the 1992-1993 Pittsburgh Penguins. The streak ended in a 6-5 OT loss to the Montreal Candiens. The loss was not without a bit of controversy, however, as the Capitals scored a disallowed goal near the end of the second period. Down 4-2 at the time, the Capitals forward Alexander Ovechkin scored what may be the best disallowed goal of all time...all without even touching the puck. Why was it disallowed, you ask? It's a subjective call that points to a goalie interference rule - even though Ovechkin never actually touched goalie Carey Price. and so was Ovechkin (pointing). In the past few days, confusion has reigned over the non-goal, as bloggers and other media note similar instances where the rule had been interpreted differently. 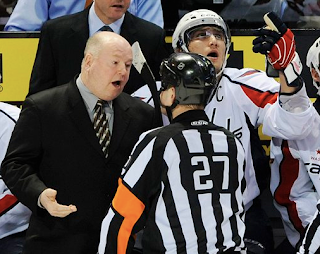 Either way, the Capitals' loss means that the epic streak has come to an end. As always, let me know which sports story you care about least this week.